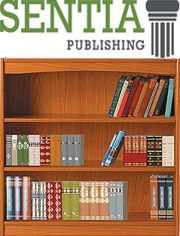 Sentia Publishing is an innovative provider of publishing services for professors and educators at all levels of higher education - community college, trade school and 4-year. We enable professors to develop the exact educational products for their specific needs. You provide us your materials and objectives, and we develop the specific tool to achieve your goals. Sentia works with the professor to develop ancillaries, readers, supplements and full text materials based on the exact learning objectives for their course. Get rid of the fluff and the expense of today's mass market textbooks and develop the exact materials your students need. We are looking for authors in all disciplines. Get your project started today. Submit a textbook idea.